5633(S, F): A request was made to authenticate to a wired network. 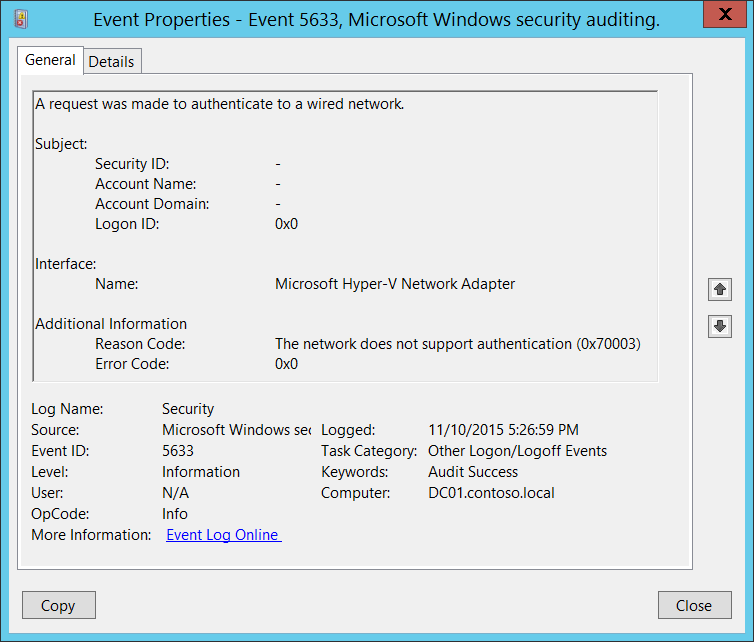 This event generates when 802.1x authentication attempt was made for wired network. 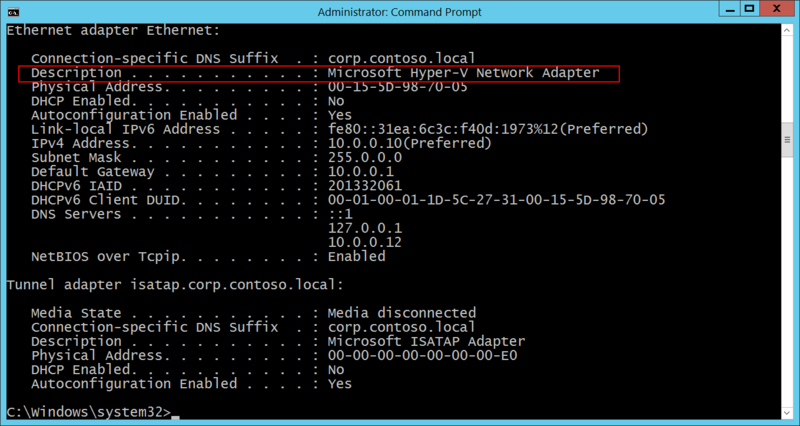 It typically generates when network adapter connects to new wired network. Security ID [Type = UnicodeString]: User Principal Name (UPN) of account for which 802.1x authentication request was made. Reason Code [Type = UnicodeString]: contains Reason Text (explanation of Reason Code) and Reason Code for wired authentication results. See more information about reason codes for wired authentication here: https://msdn.microsoft.com/library/windows/desktop/dd877212(v=vs.85).aspx, https://technet.microsoft.com/library/cc727747(v=ws.10).aspx. Error Code [Type = HexInt32]: unique EAP error code. For 5633(S, F): A request was made to authenticate to a wired network.